Dr. Jonas Salk was so sure his vaccine would work safely to stop a virus that caused paralysis, he tested it on himself and his own family. Polio caused panic nationwide midway through the 20th century, with outbreaks crippling or paralyzing an average of 35,000 people in the U.S. each year, according to the Centers for Disease Control and Prevention. Parents feared letting their children outside and quarantines were imposed in areas where polio outbreaks had occurred. 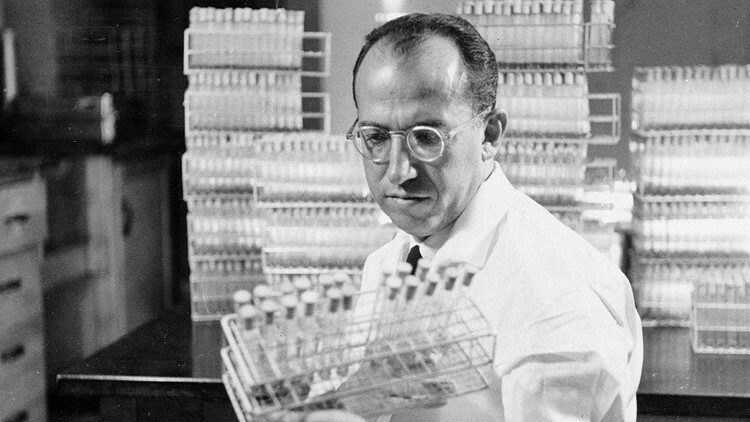 In 1953, Dr. Jonas Edward Salk announced to the world that he was testing a vaccine on his own family that would prove to be a game-changer. The CDC says polio -- more specifically known as paralytic poliomyelitis -- "is a crippling and potentially deadly infectious disease. It is caused by the poliovirus. The virus spreads from person to person and can invade an infected person’s brain and spinal cord, causing paralysis." 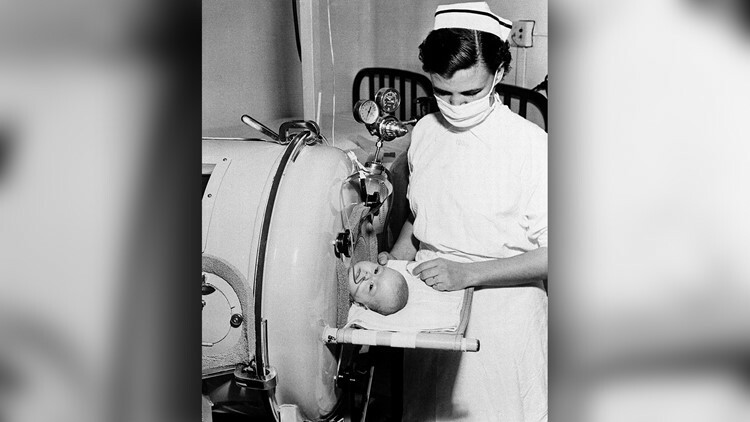 Because of this, hospitals set up rooms where some children had to live in iron lung machines to survive. Salk had an idea that went against popular scientific opinion, according to the Salk Institute. He believed using a "killed" poliovirus could safely immunize people without risk of infection. He was so confident in his vaccine that he tested it on himself and his own wife and children. On March 26, 1953, Salk went on national radio to announce the tests were underway. 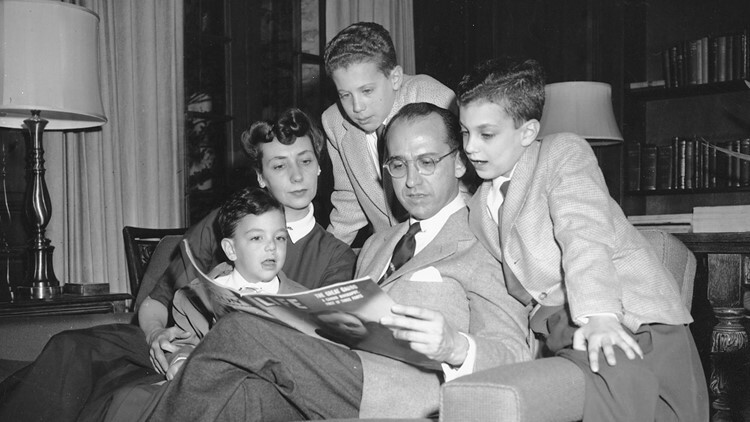 Salk and his family all developed antibodies against polio with no adverse reactions. After nationwide testing began in 1954, Salk's vaccine was announced as a success on April 12, 1955. Widespread manufacturing began and, according to the Salk Institute, the average number of U.S. polio cases dropped to 910 by 1962. Today, it is virtually non-existent in most of the world, according to National Geographic. Salk could have earned a fortune for his vaccine, but he sought the greater good and never patented it, according to the Salk Institute. He also tried finding a vaccine for HIV, the virus that causes AIDS. Although he did not have the condition, he announced in 1991 he would do as he did with his polio vaccine -- he would test it on himself. Before he could complete his work, Salk died on June 23, 1995 at age 80.